DAVID LE/Staff Photo. 2/13/15. 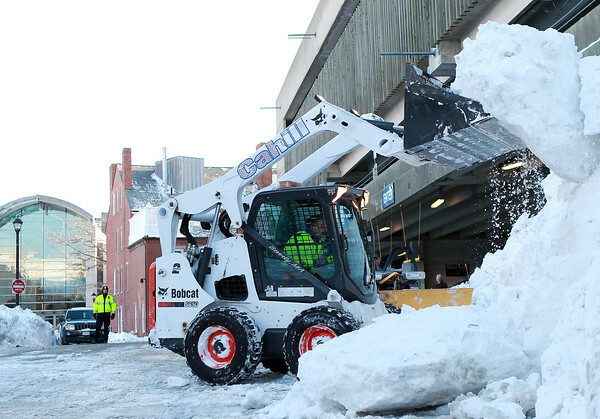 A worker from Cahill, a Beverly based company, knocks free a huge chunk of snow that was piled up next to the Museum Place Garage. Snow removal efforts on Friday were in full effect as the City of Salem braced itself for another impending storm.